The company formation industry can be an excellent bellwether for the economic climate. So, how many companies are being set up in Dubai right now? And who is setting them up? 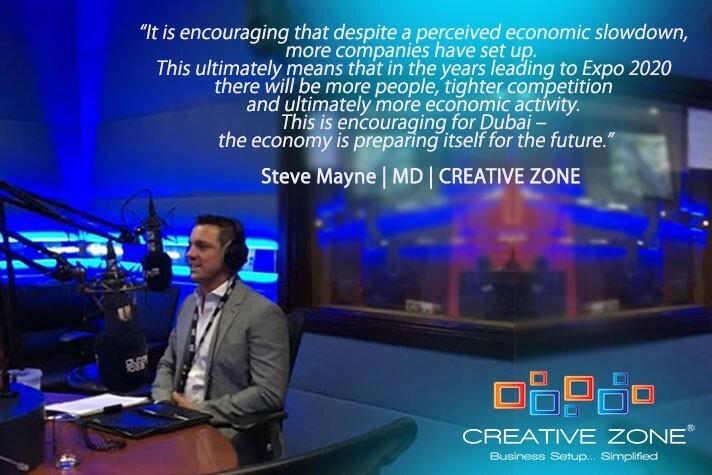 We invited Steve Mayne, Managing Partner of Dubai business set-up company, Creative Zone, into the Drive Live studio to explore this topic in more detail. This interview was broadcast on ‘Industry Insider’ on Sunday 19th June. "I have been here 13 years. When I first arrived there were many single-income households. Now I believe that this is not the ‘norm’… The people, the culture – the economy and competition is developing and changing in Dubai and it is encouraging."